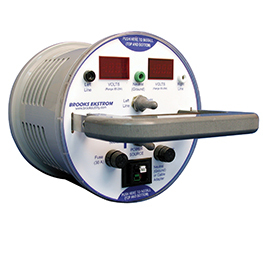 Safe and dependable, our warm-up boards provide voltage directly to the meter so personnel can program electronic meters in the shop, prior to on-site installation. 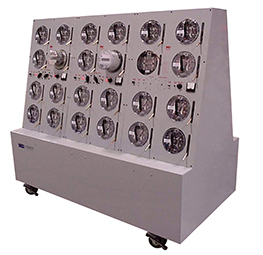 Model 3904 A-frame units are available with socket controls at each of the 30 positions, or in groups of three positions per control. Custom design and styles are available. 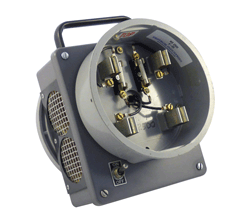 Designed for field testing current transformers that are installed in automatic bypass sockets. Single or polyphase. 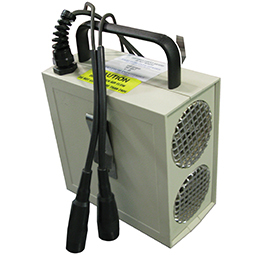 Very portable and ergonomic line buster delivers 2500 watt load alternately to each phase. 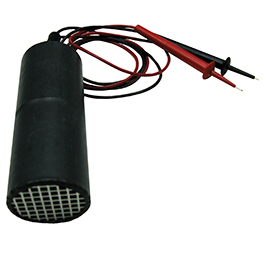 Digital LED voltmeters register voltage fluctuations that indicate loose or open neutral conductors. Front access plug-in cable conductor assemblies allow simplified connection to the neutral – and to both phases for bottom connected installations. 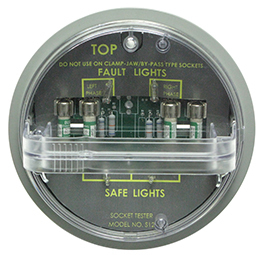 In addition to safely checking for phase- to-phase ground faults at the meter socket prior to setting the kWh meter, the load indicating socket tester allows determination of connected load inside the home prior to setting the meter. Protects both the installer and the end- customer’s equipment from dangerous wiring errors. 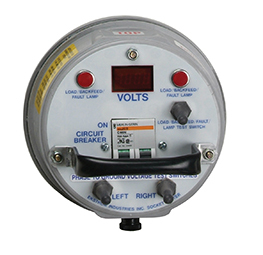 Prior to setting meter, VLIST safely checks phase-to-phase and phase-to-ground potential while the circuit breaker protects against faults and indicates significant connected loads. 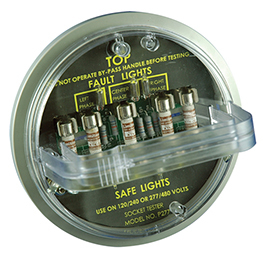 Offers meter technicians an effective method to locate loose, open, or faulty connections to lines and neutral. Simply insert device into meter socket after rerouting entire load to incoming line. Voltage differential is easy to read on two LED volt meters supplied. 5000- watt load. Provides a quick and simple means to check the accuracy of a watt hour meter in the field. Particularly useful in the investigation of high bill complaints. 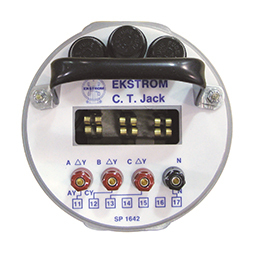 The meter test jack is used for interfacing with a utilities’ NIST traceable watt hour standard and used in meter calibration. The rear of the adapter has jumpers that allow the customer to remain in service while meter calibration is being performed. 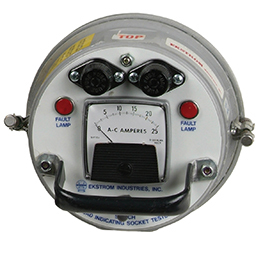 A variety of models are available for different meter forms. The polyphase socket tester provides a safe and effective means to quickly check 277/480 volt meter sockets for wiring errors, short circuits, and back feed conditions – prior to setting the meter. 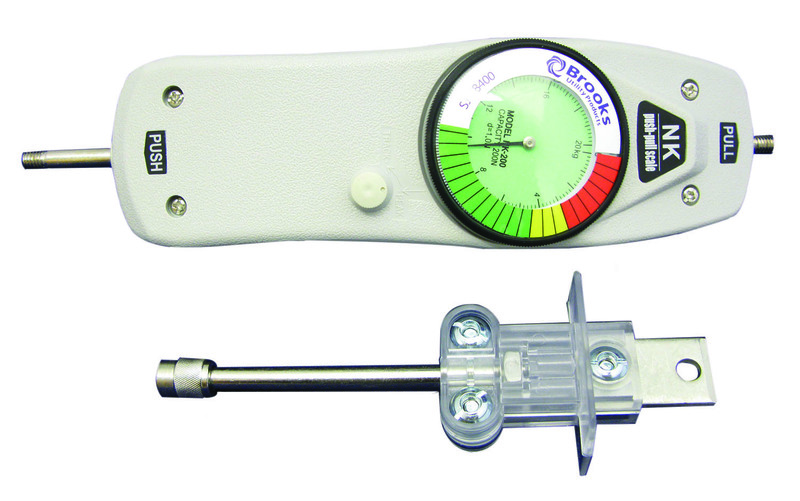 Specially designed force gauge for measuring socket jaw tension associated with installing a socket-type meter into a meter socket. 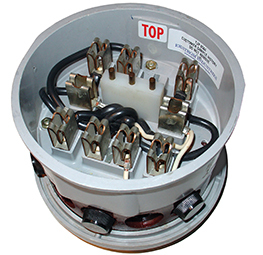 ANSI/UL 414 Standard for Meter Sockets, Section 17 defines maximum allowable insertion force. 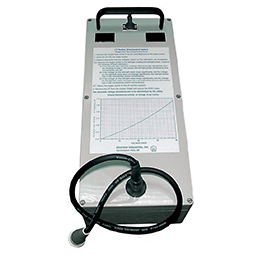 This single-position desk-top portable warm- up stand was designed to permit convenient programming and/or warm-up of electronic meters. Designed for safely applying a load to “non- registration” meters to determine if the disk turns. 1300 watts for voltages up to 240 volts. 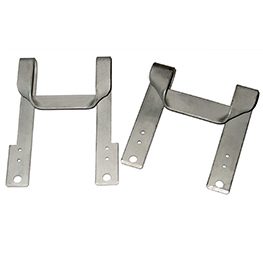 ...for heat rise testing, as defined by UL 414 dated March 24, 1999, figures 13.2 and 13.3. 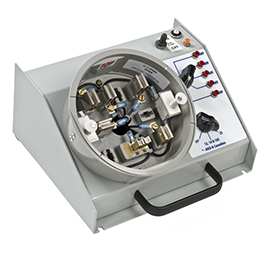 We have these manufactured for use in our own test lab and know they are hard to find. Two models enable safe application of 2500- watt load to “non-registration” meters.